I have such a fun and easy Summer decoration for you today! 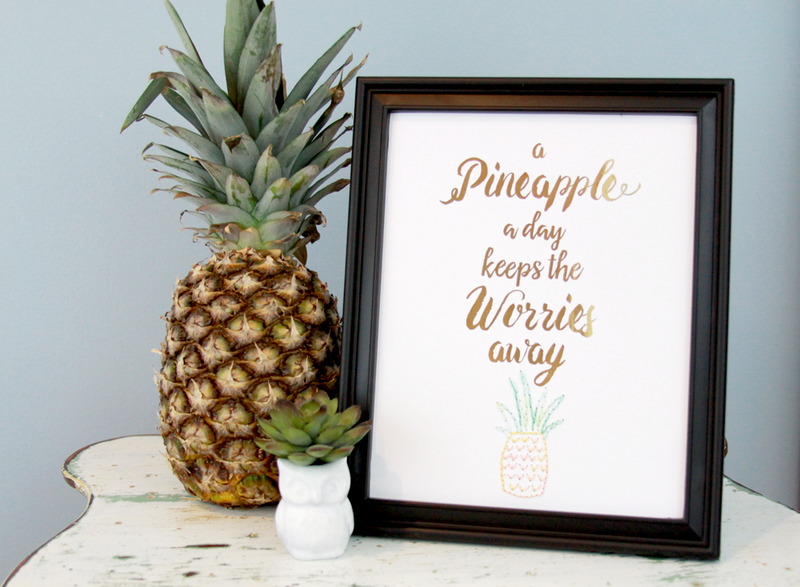 This cute pineapple printable is the perfect thing to brighten up a little corner! 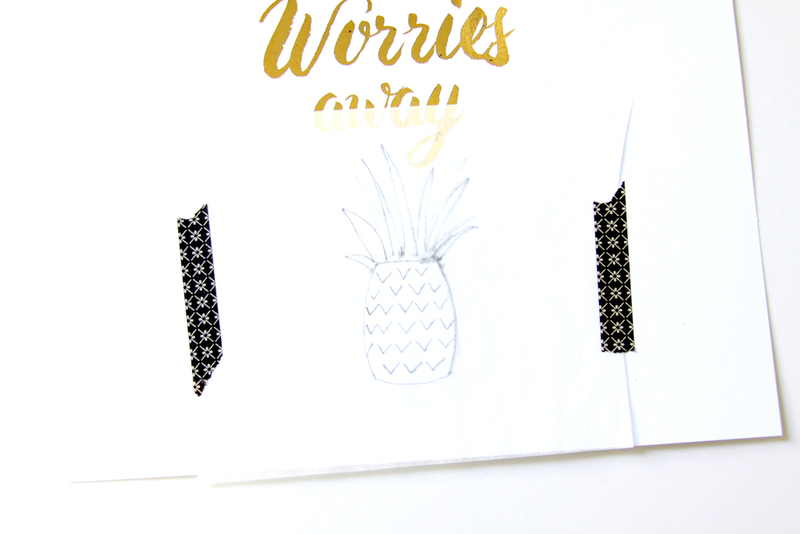 I created the Pineapple printable and had it copied at the UPS store. So quick. I had it printed on a smooth cardstock – the smooth paper makes it easier for the foil to adhere. Once I had it copied I ran it through my Minc – it took maybe 15 seconds! 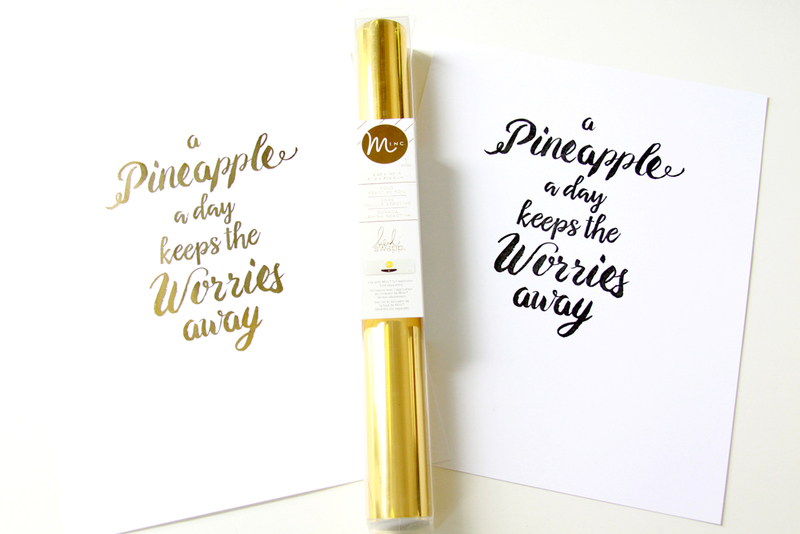 There are lots of ways to apply foil to projects but the Minc is definitely the easiest and does the best coverage! The Minc starter kit and accessories are available at Hobby Lobby and Jo-Ann, along with a number of local stores and online shops. 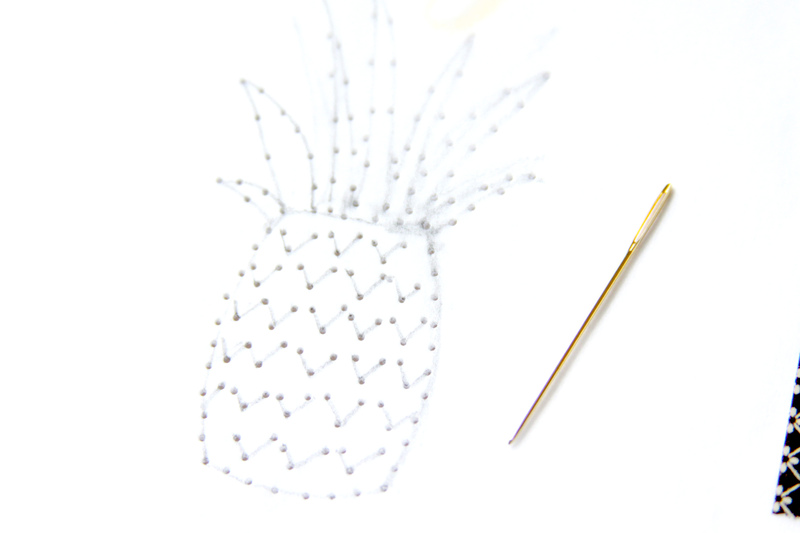 To create the pineapple, sketch a small pineapple on tracing paper. Tape the paper over the spot on the printable where you’d like the printable. 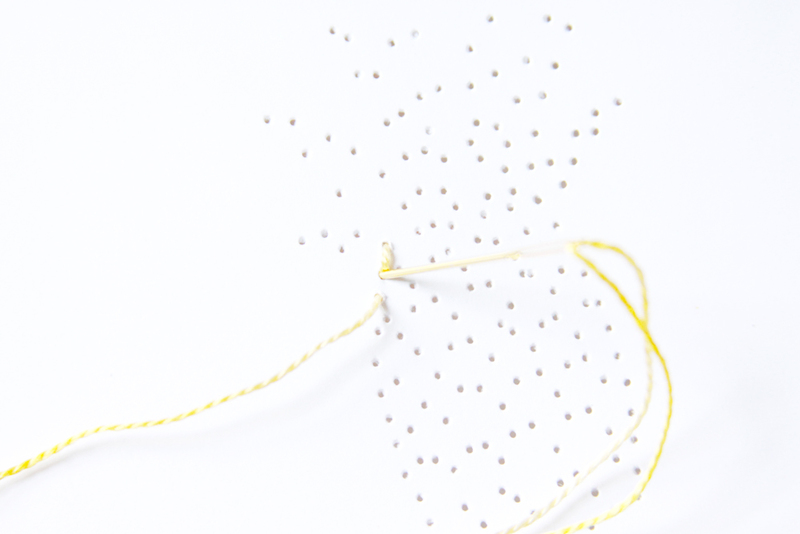 To make the holes for stitching, find a needle and poke small holes along the edge of the design and throughout the lines to make it easy for the thread to go through. Remove the tracing paper but keep it handy, it will be easy to see where the stitching lines are. Begin stitching out the design, bringing the thread up at one point and down through the next hole. Move to the next hole and repeat, filling in all the design. For the thread I used a variegated yellow and green pearl cotton. I love how the colors change in the design! 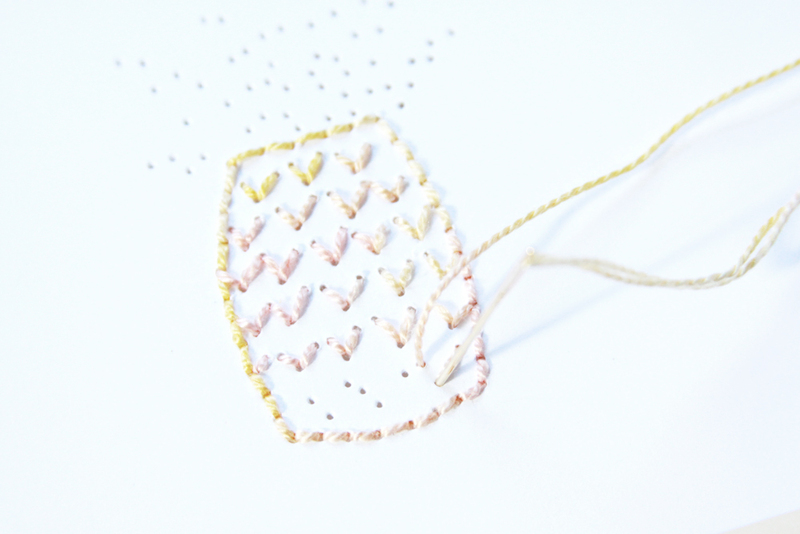 Once you stitch the pineapple, stitch out the leaves. 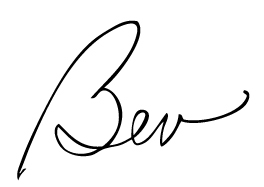 The design fits in an 8 x 10 frame, you just need to trim off about a 1/2″ from the top of the paper. Pop it in a frame and you’re ready to go! The gold foil looks so bright! I love how it fits with the pineapple! 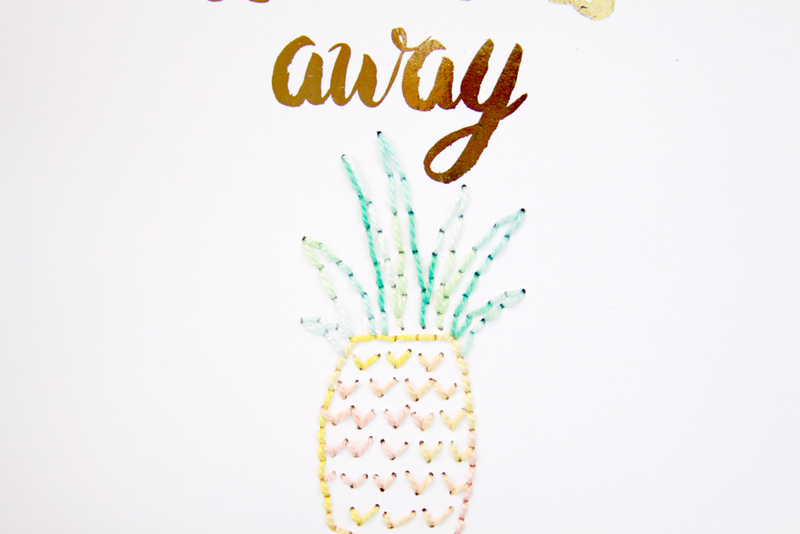 Aren’t you loving all the pineapple project inspiration out there right now?! It’s so summery and fun! Oh my! Now, I love printable decoration as much as the next girl but this takes it to a whole new level! What a fantastic idea, and I have never heard of a Minc before so I will check it out. This is so pretty! 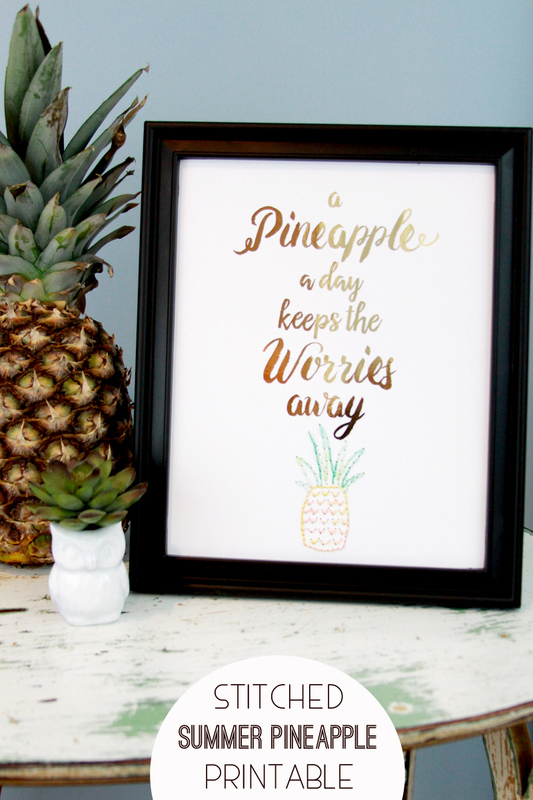 I love the idea and yes I am also loving all the pineapples everywhere at the moment!